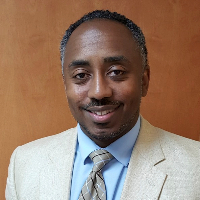 Dr. De Vose earned his doctorate in Counseling and Counselor Education from North Carolina State University in 2015. He previously earned his Master of Science Degree in Rehabilitation Counseling from the University of North Carolina at Chapel Hill in Chapel Hill in 1998. Dr. De Vose is currently licensed as a Licensed Professional Counselor Supervisor by the North Carolina Board of Licensed Professional Counselors (License # S4985), and as a Licensed Professional Counselor (007674) with the state of Georgia. Dr. De Vose’s professional background includes over 20 years of counseling experience. He has worked as a therapist with children, adolescents, adults, and families treating various conditions such as substance abuse, mood, and behavior disorders. There are many approaches to therapy. While Dr. De Vose’s primary therapeutic orientation is Cognitive Behavior Therapy, other approaches such as Prolonged Exposure, Reality, or Solution-Focused Therapy may be used based on the needs of the individual client. Through the use of various approaches, he will explore the client’s feelings, develop trust, and provide empathy while helping the client understand problems of their past. He will also assist the client in understanding and modifying behaviors that are harmful or unsuccessful while making positive life changes. Negative and irrational beliefs, which would provoke unacceptable behavior, will be explored and clients will be assisted in developing more appropriate behaviors and increasing self-esteem. Clients are advised that counseling may bring up memories of painful experiences. This is a risk with any kind of therapy. Dr. De Vose’s goal is to confront these issues and, with time, lessen their impact on current behavior. Counseling includes your active involvement in and out of the counseling sessions. There is no magic pill. There will be homework assignments, exercises, writing, and journaling as part of your therapeutic experience. While Dr. De Vose has had much success in counseling individuals, his approach may not suit every client. Though he will make every effort to assist his clients, each is welcome to get a second opinion from another counselor and/or end the professional relationship at any time. Dr. De Vose’s areas of interest are: Depression, Post Traumatic Stress Disorder, Conduct Disorders, Attention Deficit/ Hyperactivity Disorder, Disruptive Behavior Disorder, Vocational Counseling, and Substance Abuse. In the event that Dr. De Vose believes another counselor can better serve your needs, he will refer you to another professional who is prepared to work with you more effectively. Delton was super helpful. He’s very practical, honest, and diligent in what he does. He was also very caring and personable. I would highly recommend him if your looking to see progress and real results. Delton is awesome! Has a great practical approach to dealing with issues. He breaks them down well into smaller units that you can deal with bit by bit. I would strongly recommend him. This man has helped me through one of the hardest times in my life and he works with me until we get real progress. Not until his time is up. He truly cares and wants to help, and I appreciate all the help he has given me. Delton was very helpful during the time he was my counselor. Very easy to talk to. Very professional and knowledgeable on various subjects. Would definitely recommend to others. Would you like to write a review for Dr. De Vose? We'd appreciate if you can spend a couple of minutes to write a short review for Dr. De Vose (Ph.D., LPCS, LCAS, CCS). This review would be shared with Dr. De Vose. It may also be posted in our website or in Dr. De Vose's profile but it would be anonymous and your identity would be kept completely confidential.